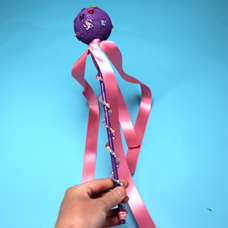 Make a magical wand this Halloween perfect for a fairy princess or a lovely witch! Insert a wood dowel into a foam. 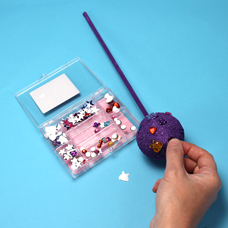 Remove, apply glue to the end and insert into the ball to secure. 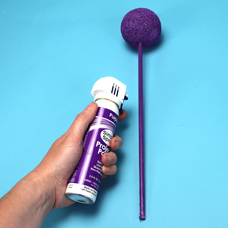 Use Simply Spray® project paint to completely cover your wand. For instructions on how to paint with project paint, watch our video here. Cover the foam shape with peel and stick acrylic jewels. 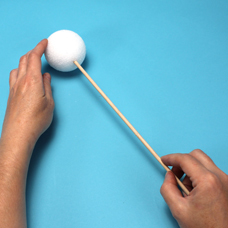 Cut a 20 inch piece of braiding cord and tie it to the wood dowel, directly below the foam ball. Use glue to secure. String beads onto the cord. 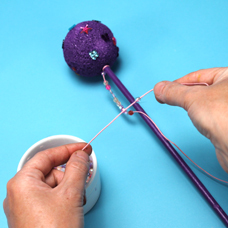 Wrap the beaded cord around the dowel and tightly knot the bottom of your cord at the base of your wand. Tip: Glue to secure. Tie long pieces of ribbon under the foam ball. 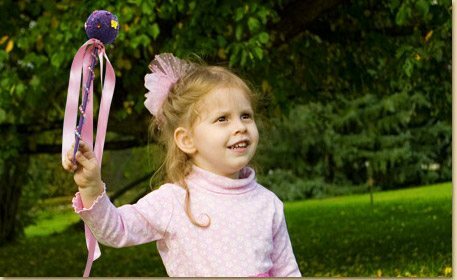 When waving the wand, the ribbons will flow in the wind for a royal affect! 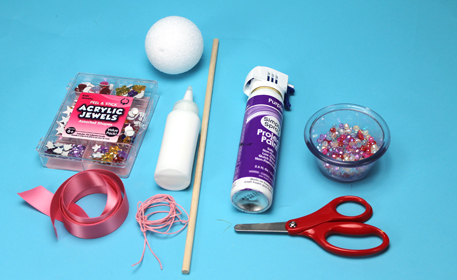 Click here to see a video on how to make this craft!